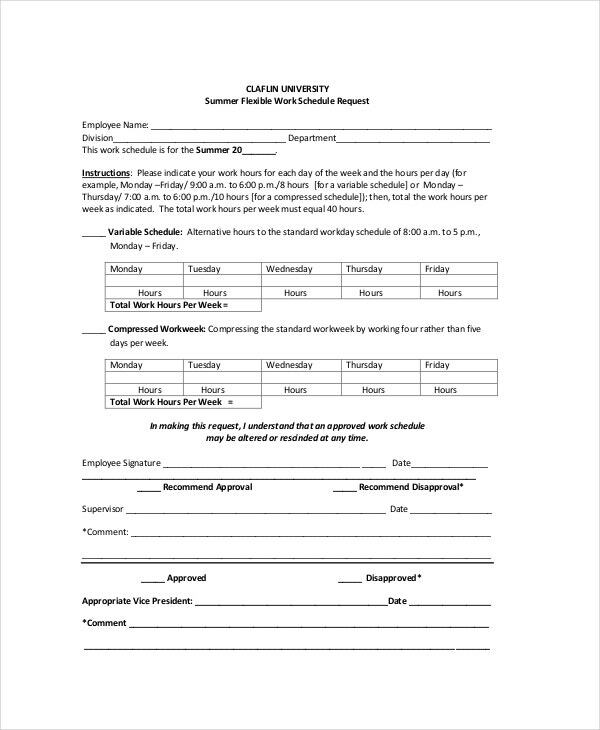 Work schedule is also known as a time management tool adopted in professional as well as personal day-to-day life. 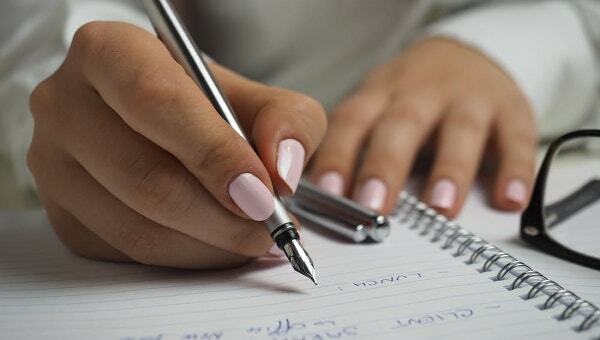 It helps a person to manage his/her time depending on the planned activities needed to carry out in a given period. 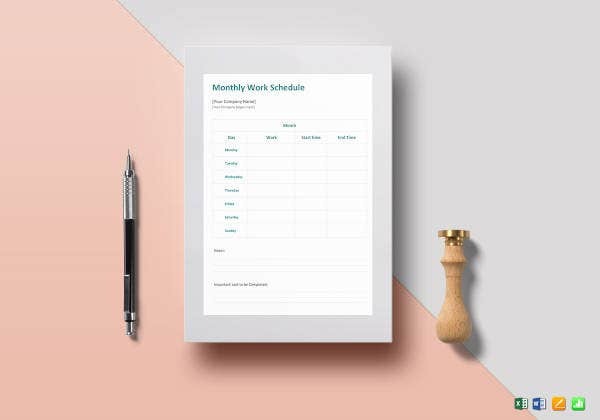 Having a work Schedule Template makes an individual organized and abled to attend to the things that need prioritization, especially when talking about business management to meet the company’s goals and aims easily. 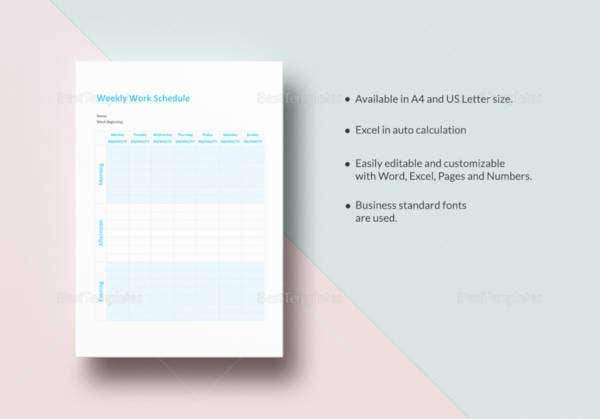 You can find more than twenty-one samples of work schedule template that are useful in listing down all the tasks and duties that are to be completed in a fixed time period. 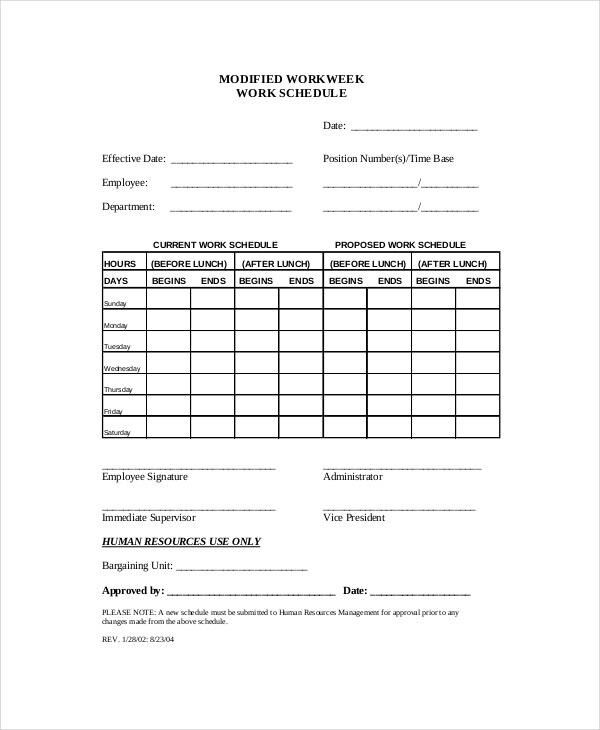 This format of work schedule will give you enough spaces to write per day activities related to work starting from Monday up to Friday, even weekend included if necessary. 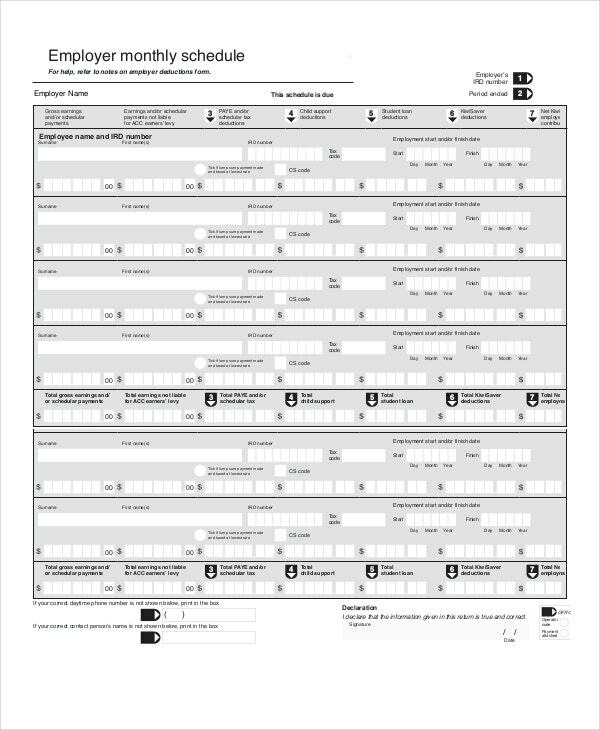 This arrangement is solely for employed people with contact details. The employee’s break time, the number of working hours daily and weekly are all shown in a tabulated way from Monday to Friday. 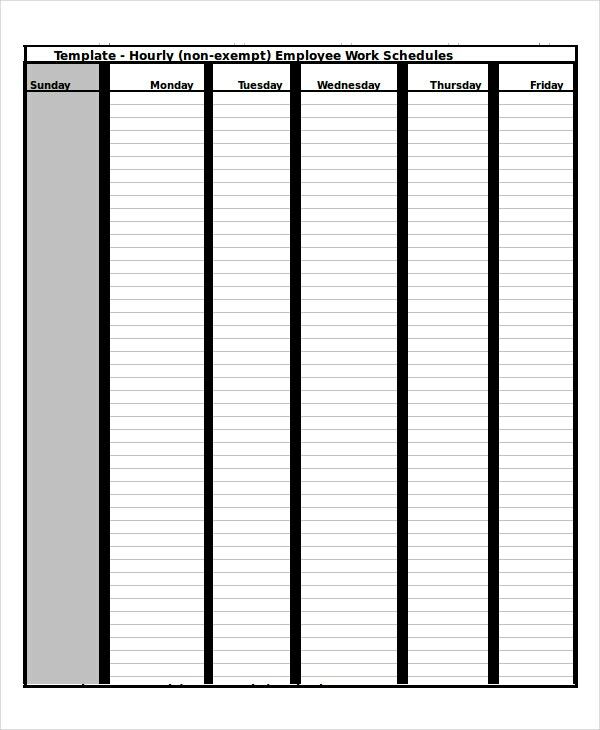 This broadsheet has working days with blank spaces between them intended for the user to write activities with the specific time frame. The five working days are in the colored background to make each one different from the other. This is a drafted plan for working staffs. 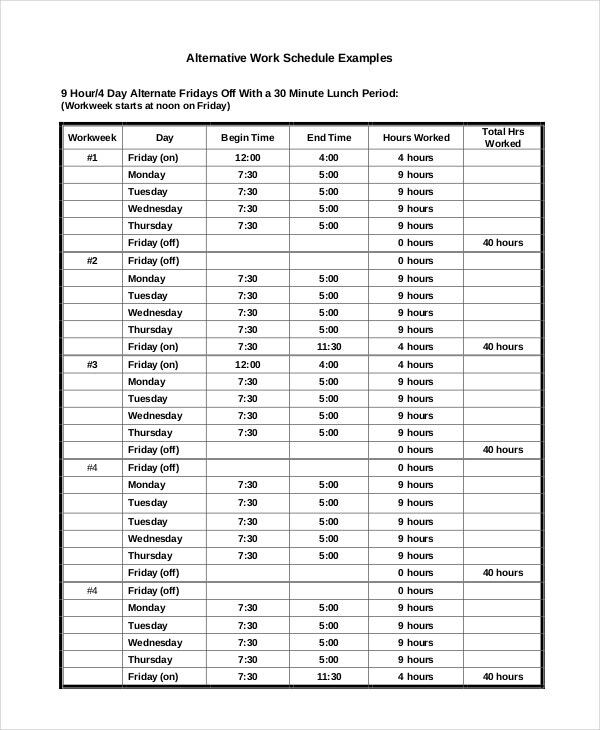 A Time Schedule of staff placed in a table in day by day format. 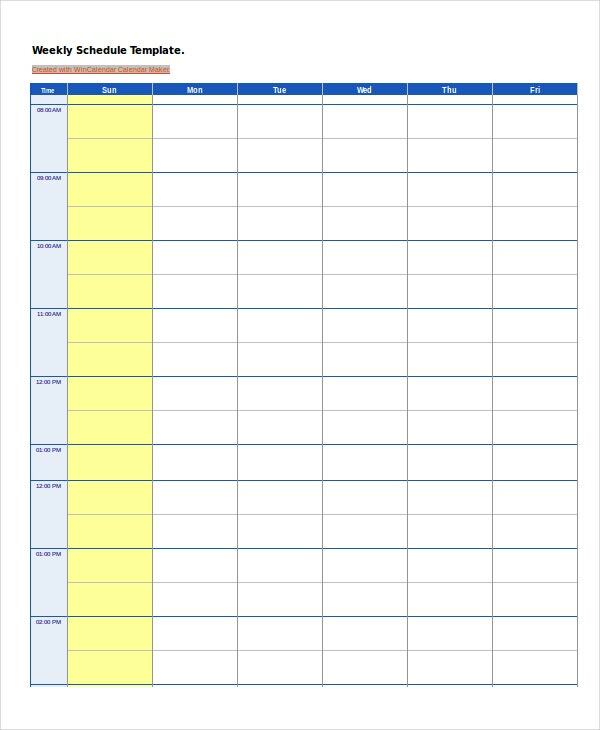 Who are the Target Audiences of Work Schedule Template? 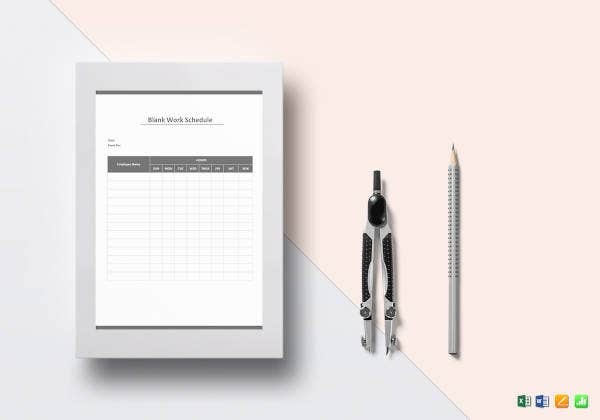 Managers must have this kind of tool if they want to see the manpower they have as a whole as well as for the distribution of work time for each department of their business that needs additional manpower or working hours. 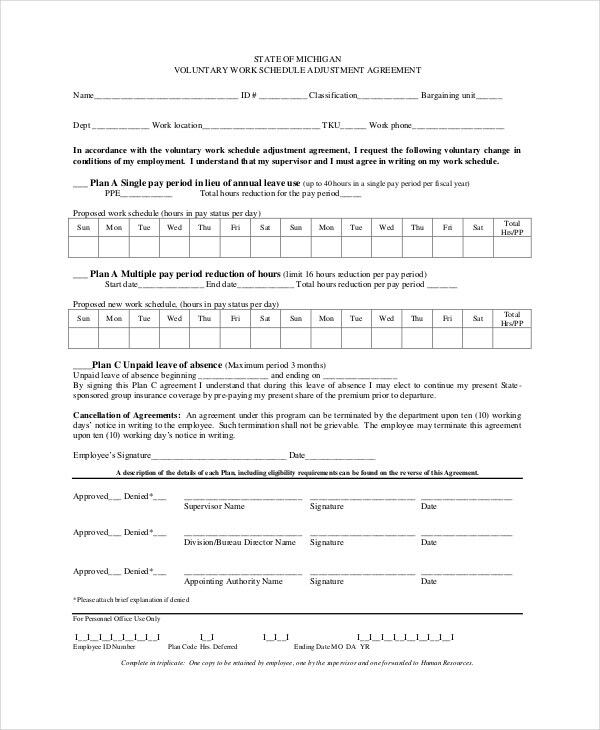 Human resource staff and payroll department would also consider this template whenever they have the salary computation of their workers on a biweekly schedule for their overtime or fine based on their working time. 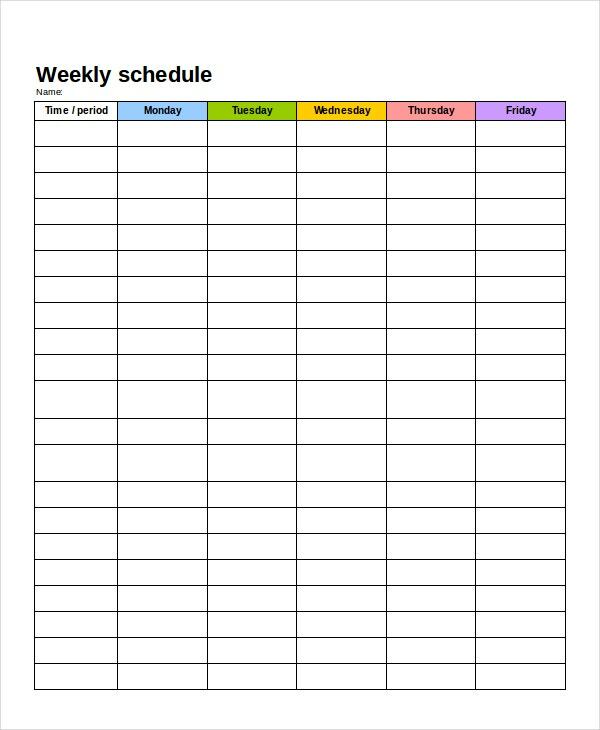 You may also see Weekly Schedule templates. 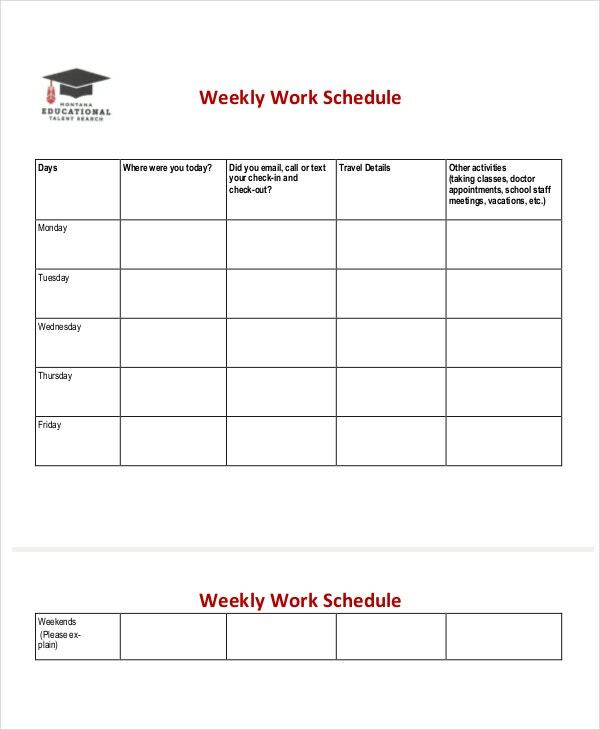 What are the Benefits of Using Work Schedule Template? 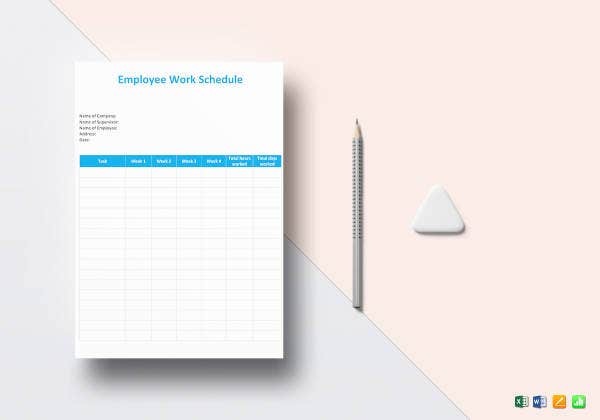 The motive of this template is to manage the working time needed in any business transactions and divide the employees’ number in every shift depending on the workload or number of staff needed. It will be the basis of how much time an employee has rendered in their working hours for any overtime pay or tardiness. 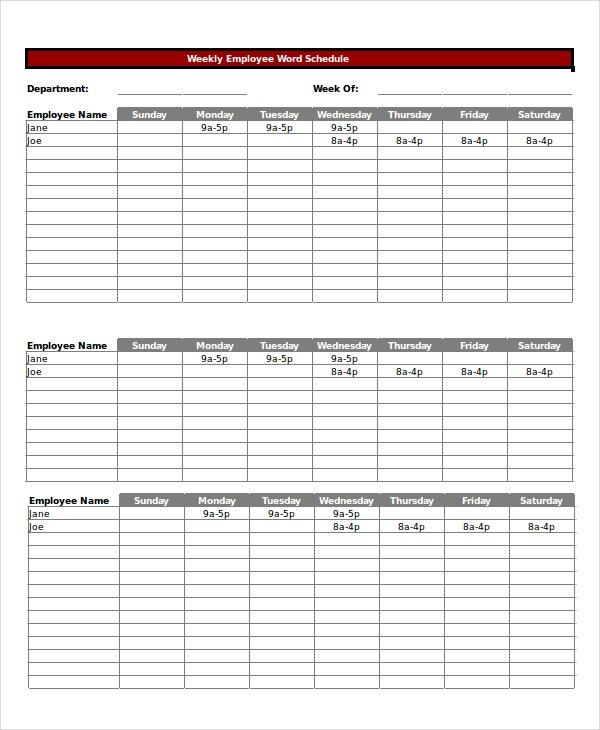 Employees can also use this when they want to file for their vacation leave, emergency leave or if they want to change their schedule; in addition to it, they can have an exchange of schedule with this template to have the ideal working shift they want. 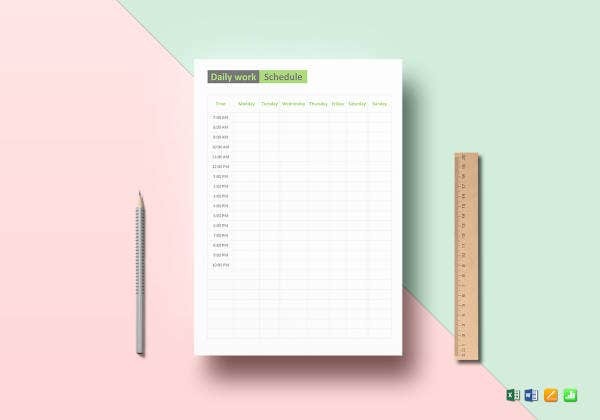 People will learn to spend a few minutes of their time in arranging their bunch of plans and assignments at work with this schedule template in MS Excel format where users can customize this as per Monthly Work Schedules, daily work schedules, and blank work schedules.